Aside from simply becoming an “American”, there are many advantages to becoming a U.S. citizen, including the right to vote and travel internationally with more ease and convenience. In addition, qualifying children under age 18 of U.S. Residents automatically become U.S. Citizens once a parent Naturalizes and Spouses and minor children (under age 21) obtain U.S. Residency on an expedited basis, without waiting for years in long Visa lines. Finally, once an individual Naturalizes, he or she may then sponsor their parents, adult married children and brothers & sisters for U.S. Residency. In order to qualify for U.S. Citizenship, an immigrant must have been a U. S. Permanent Resident for at least four years and nine months and also meet certain requirements dealing with the time actually physically spent in the U.S. During the four years and nine months immediately preceding the application, the person must have resided in the U.S. , with half of that time physically spent in the U.S. Spouses of U.S. Citizens are eligible to apply for Early Naturalization after only two years and nine months, as long as the couple have been married for at least 3 years and the U.S. Citizen spouse was a U.S. Citizen for the entire three year period. Additionally, the couple must continues to be living together in a valid in marriage for the entire three years. U.S. Residents who are still married to but no longer residing with their U.S. citizen spouse are not qualified for Early Naturalization and must wait the full four years and nine months in order to be eligible. In addition to the "physical presence" requirement, eligibility for Naturalization depends upon meeting other criteria, including demonstrating Good Moral Character. This can often be a challenge for immigrants with criminal records, IRS tax filing, Child Support payment issues and proving satisfaction of Selective Service registration requirements. 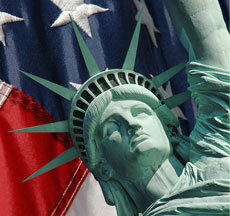 In order to be successful in obtaining U.S. Citizenship, at the Naturalization interview, an applicant must demonstrate an understanding of basic English at the time of the interview. A basic understanding includes reading, writing, and speaking in English. Speaking is determined during the interview process through responses to the USCIS officer's ordinary questioning. Reading and writing ability is determined by a list of sample sentences that the USCIS has determined to meet the "basic English" requirement. The sentences are presented to the applicant in the form of an oral statement. The applicant responds by writing the information on a form provided. While the USCIS officer has discretion in this matter, usually every word must be spelled correctly in at least one sentence. There are exceptions to this requirement for elderly individuals. The applicant must further be able to demonstrate knowledge of U.S. history and civics. Our Firm will fully review your qualifications to apply for Naturalization, including meeting the physical presence requirements, Selective Service registration requirements (if applicable), showing Good Moral Character (important when immigrants have a criminal record or any other character problem). Issues regarding crimes are often very complex and the advice of an immigration attorney qualified in criminal immigration is usually in order, prior to making an application for naturalization. We also fully review other issues which can often prevent an immigrant from being eligible for Naturalization including: Child Support payments, failure to file tax returns, etc. For more information on becoming a U.S. Citizen through Naturalization, call or email our office to schedule an Attorney Consultation so that we can fully review your circumstances and give you the best, most honest advice concerning what steps you can take to obtain Naturalization. To help you succeed in obtaining your Naturalization, our Firm will carefully review your eligibility, provide valuable advice regarding your qualifications, prepare a professional case, properly support your case with all the required documentation, respond to all requests from the USCIS, prepare you for your Naturalization interview, represent you through the proceedings and support you through the entire Naturalization process to becoming a new U.S. Citizen. 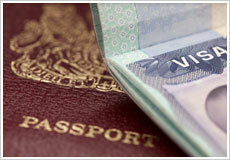 We look forward to meeting you and helping you to achieve your immigration dreams!